Well friends, we are exactly half-way into 2011 now. I think this is as good a time as ever to make my ‘Best of 2010’ list, don’t you? I know most critics tend to create these sorts of lists at the beginning of the year, while awards season is in full swing, but since GlasgowtotheMovies.com (have you heard of it?) is not yet the big name that we all know that it will be someday, it has been difficult for me to get to all of the movies that the trendsetters were talking about. I’m still not done, honestly: I haven’t seen Biutiful, Somewhere, or Jack Goes Boating, to name a few. I reserve the right to make corrections to this list as they become necessary. I believe I have seen enough titles, though, to bring you my opinion on the subject. Enough jibber-jabber, let’s get on with it. In a carefully constructed, cross-referenced, thoroughly planned and – dare I say? 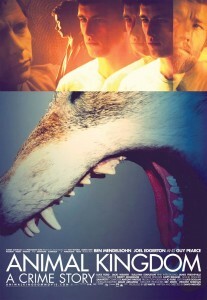 – shockingly specific order, here are the 10 Best films of the year 2010. While the concept behind Animal Kingdom isn’t necessarily an entirely original one, dealing primarily with the ins and outs of an Australian crime family which is slowly unraveling, the movie is riveting almost entirely because of one man: Ben Mendelsohn. Mendelsohn plays the uncle of the teenage protagonist J. He’s a creepy character, silent and brutal, increasingly paranoid and suspicious. The audience sits on the edge of its seat waiting for the man to snap. And then there is the ever-reliable Guy Pearce, here sporting an amazing mustache, as the sometimes fatherly police officer determined to take down the family before any more harm comes. But a lot of the magic of the movie comes in smaller, simpler moments. I won’t soon forget a moment where J tries to hurriedly get his girlfriend’s dad to drive away as somebody is chasing him. As the man backs out of the driveway, J looks nervously over his shoulder, waiting for an explosion to arrive. It’s an effectively tense moment, and just one more incredible scene on top of several others. The first and final shot of the movie, in particular, are extraordinary on their own. There are only 5 reviews for this film on Rotten Tomatoes, a shame because more people ought to see this beautiful film. At nearly 2 1/2 hours long, the movie is epic in scope, following a Muslim Indian named Rizwan Khan as he and his family are forced to face the fearful xenophobia of the rest of America in the aftermath of the 2001 World Trade Center attacks. 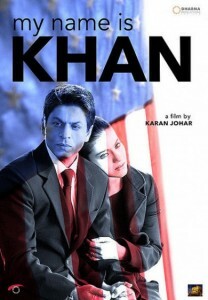 Although the movie dips into the absurd at times, ending up feeling like an Indian version of Forrest Gump as Khan travels the United States in order to announce to the President that being Muslim does not make him a terrorist, the center holds because Shah Rukh Khan is extraordinary as the star, a man whose Asperger’s syndrome makes him difficult to relate to even for those who share his religious beliefs. That, combined with the incredibly moving love story that slowly builds between Khan and the woman he adores, Mandira (Kajol). The entire first act is dedicated to the blossoming relationship between the two, and though there are moments of skin-deep stereotyping, the movie doesn’t fail to acknowledge that racial prejudices aren’t limited to any specific group. The movie can sometimes be over-the-top, but usually in just the right ways. The “Academy” named The King’s Speech the best film of 2010, and though I disagree with the sentiment, it’s not hard to see where they’re coming from. It’s a surprisingly small story, focusing on the vocal tics of a politician in a time of impending war and radical controversy. 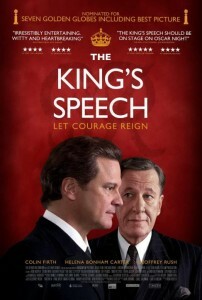 And while it is about the King (Colin Firth) learning how to find his voice, a lot of the movie is also about the genuine friendship that builds between himself and his speech therapist, Lionel Logue (Geoffrey Rush). Their relationship is handled with such tenderness and care that when the balance does falter, it’s all the more noticeable because of how smooth the ride has been up to that point. This is to say nothing of the contribution of Helena Bonham Carter, as the patient queen to Firth’s king. She doesn’t get the same treatment that Rush does, unfortunately, but in their moments together it’s clear that the pair are not only husband and wife by necessity of their station in life, but they love each other not just as a married couple but as good friends. The expansive, smart sets; the seamless stammer of Firth; the intriguing camerawork. I avoided the film while it was in the theater, even as it gained critical accolades, and I sincerely regret that decision now. Before I say anything else, I have to note that I absolutely love this poster. I have yet to write my review for this movie, having watched it for the first time today. You’ll probably be able to detect a theme running through this set of films, though. The story tells of a couple who have lost their four-year old son to a nasty automobile accident and the ways that they attempt to cope with this loss. Despite that downer of a synopsis, the movie is not as depressing as it could have been. That’s because the movie doesn’t try to explore grief head-on (like Von Trier did in Antichrist), instead finding its drama in the loss itself; in the ways that the loss of a loved one, of a part of oneself, can make a person feel less than whole. The characters in the film (played both charmingly and heart-breakingly by Nicole Kidman and Aaron Eckhart) are a couple trying to figure out how to work their emotions on together and alone. It’s a rocky path toward getting some sense of closure, and the movie smartly avoids any cliches of the type. Though not everything is answered or clear, necessarily, by the film’s end, the real point of the movie is in the journey that the couple takes toward a greater peace with the tragedy they’ve been forced to endure. And Dianne Wiest is phenomenal. 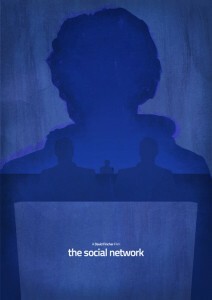 Just absolutely gorgeous to look at, David Fincher’s The Social Network was seen by many to be the film of this generation. All I know is that this is the movie that made me obsessed with fake miniatures for a time. One critic called it a horror film, the gradual self-awareness of a Frankenstein monster coming to life and consuming the planet. It starts with one man, Mark Zuckerberg (Jesse Eisenberg), a fabricated version of the real-life mogul who started the history-altering business. The movie’s Zuckerberg is idealistic, driven, and single-minded. He doesn’t see the trail of destruction that he leaves in his wake until it is too late, and by that time he too has become a bit of debris in the giant snowball avalanching down upon the world. The entire movie is told in flashbacks, and all of the characters talk about Facebook as though it were an inevitable monolith that cannot be stopped. The movie isn’t about the creation of Facebook, as you might imagine, but instead about the manner in which unbridled egoism (from the site’s creators and users) has only helped it to thrive. With dark atmospherics and a gripping score by Trent Reznor, it’s a hard film to shake. I was initially turned off by the grainy, hand-held camera stylings of Darren Aronofsky’s Black Swan, but it didn’t take long for my opinion to change. The muddle vision, the close cropping and jerky movements make it easier to feel right in the action. When the movie dips into some of the more haunting imagery, such as an eerily effective moment where Natalie Portman walks down a hallway toward a room full of paintings, it’s hard to imagine the movie being filmed in any other way. It’s hard to get over the layers of opposites which permeate the film, from the obvious white swan/black swan allegory to the use of lighting versus darkness. 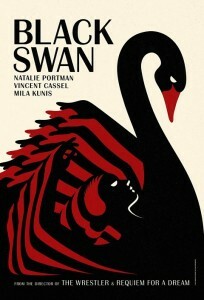 Where many others might be content to leave it at that, Black Swan goes it a step further by turning the tables and asking what if the black and white weren’t exactly so, um, black and white? Last summer’s hit from The Dark Knight director Christopher Nolan was the first movie of the year that stayed in my mind for days afterward. It’s a heady brew, with fast-talking Ellen Page and Leonardo DiCaprio traveling between layers of dreams. It’s hard to know what’s real, which is part of the concept, and Nolan here has crafted an incredible film which blurs that line with ease. Where some (e.g. Jim Emerson) criticized the movie for not being surreal enough in its dream sequences, the fidelity to reality actually serves to lead the hall of mirrors even further. It’s one thing to watch a city fold over on itself; it’s another to see an alleyway grow so thin that it only might not be something that is likely to exist in real life. 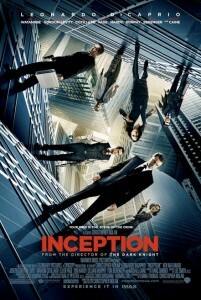 The endless possibilities fuel the imagination, and the imagination is where the heart of Inception lies. Once again, the emotional throughline isn’t as strong as it has been for some of the year’s other contenders, but the film easily makes up for it by being so damn exciting. It’s the kind of movie that thesis papers could be written about, detailing in staggering exactitude who is really dreaming at any given moment and why. The fact that these are questions that arise is fantastic on its own. That these questions then lead to a deeper appreciation of the film as a whole… it’s just marvelous. I admit that I may not have been quite so enthusiastic about the Coens’ version of True Grit if I hadn’t so recently watched the John Wayne classic. Though Wayne’s film may be considered a classic, it hardly compares to the mastery that the Coens brought to the story. Smoothing out some questionable moments (LaBeouf’s miraculous return, for instance) and building a compelling relationship between all three of the main characters, this version of the story is head and shoulders above its counterpart simply for the sake of making the relationship between the group plausible. 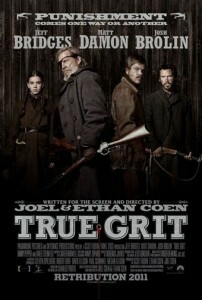 Not only that, but it sells the idea of “true grit”, giving the phrase an entirely new meaning. Some scenes are almost shot-for-shot taken from the original film, but hold so much more weight here – it’s incredible. And those that aren’t, well, they’re done with much more gusto: when Rooster Cogburn (Bridges) has to carry an injured Mattie out of the middle of nowhere, it’s not done in long shots and via a stolen oxcart. He stumbles on foot through the darkness, in close-ups to exhibit his desperation. These two care deeply about one another, a facet of the story which is missing from Wayne’s movie probably because he loathed his young co-star. This film is 100 times more natural, more moving, more enjoyable than John Wayne’s. If the Coens hadn’t already made ten others, I’d be tempted to call it a masterpiece. The entirety of Enter the Void is shown from the point of view of a drug dealer named Oscar. The viewer is the character. We see through his eyes as he hangs out in Tokyo, as he gets incredibly high in his apartment, as he runs from the police and gets shot in the chest. Director Gaspar Noe made a movie where he literally kills the viewer. If that weren’t enough, Oscar’s spirit then removes itself from his body and floats free-style over the streets of the city. We’re still seeing it from a first-person perspective as the camera sling-shots from one character to the next, often viewed from above, sinking in and out of memories and traveling effortlessly through solid objects like walls (or a woman’s body). 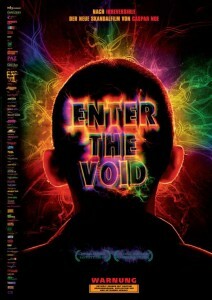 While it can be hard to take on a first viewing, the fact is that there is honestly nothing that exists which is quite like Enter the Void. That is, unless you’ve seen Noe’s previous film, Irreversible. His camera doesn’t know the meaning of what we consider up or down; his stories don’t feel compelled to travel in a straight chronological manner; and the visuals are just mind-blowing. The opening credit sequence alone is enough to get acquainted with what to expect in the film. It’s a torturous, pounding, frightening, but ultimately spellbinding experience. I can’t say it enough: there is nothing like this in cinema. Perhaps you think that it’s absurd to name a children’s movie the best film of the year, and one that represents the seventh sequel in a seemingly never-ending franchise, to boot. But HP7.1 shocked me by being not only the most mature and exciting in the Harry Potter series, but also one of the most moving films of the year. I had previously praised the fifth film for moving from shots of Harry screaming into the wind, toward a much more adult response to the treachery of everyday wizard life: namely, the grim despair and rage on star Daniel Radcliffe’s face was enough to say it all. This entry returns to that, with an extended sequence involving the three young wizards off in the woods alone, often accompanied by little more than the sound of a radio. There’s a spectacular dance scene which is possibly the sweetest moment on film in 2010 without being in any manner romantic, an important distinction. And golly, is the movie scary. I wish that Warner Brothers had taken the time to give the movie the proper 3-D treatment, because from the opening shot (a swooping aerial view of a huge, iron gate) it is clear that this is the type of movie that would have seriously benefited from it. Instead of throwing things at the camera, the extra dimension would have helped to add depth to the field. Imagine the charred remains of the house where Harry used to live as a baby, a spooky and nostalgic moment, if we felt drawn into the picture more than we already are. It’s true that it’s just the first half of a larger story, but HP7.1 is so effective on its own – hell, it even makes the Jar Jar Binks of the series into a heroic figure – that I don’t care how the second half turns out. While not R-rated, this is the first movie where things seem real, where there are consequences to not being victorious. Spells shatter glass and whiz past the characters’ heads like bullets. There are moments of lightness and humor, but the general feeling of oppressive despair and of the gathering revolt take charge, making this not just a superb Harry Potter film, but a superb film. It’s the best movie of the year because it’s so surprisingly thoughtful and serious, because it contains beautiful cinematography with a keen grip on the dramatic tension, stellar performances by the central cast, and because it shoots high above any of its predecessors. It’s almost unfair to compare this to the previous films in the series; Harry Potter and the Deathly Hallow: Part I is something totally different from what came before. Most of all, it’s something I’d love to see more of. I love that you loved Harry Potter so much. Five of these movies were on my 10 of ’10 list too (including ‘HP7:P1’)! Yup, I’d say you got great taste. Classy move waiting until half a year had passed. Granted I haven’t seen 5 of these films, but I have seen 5 of your top 6, and the top two I would have to agree with. I am a little surprised “Enter the Void” wasn’t number 1 for you, but I know you have said many times that HP:7.1 was the best film of the year and I am glad you are sticking to your guns. Also, I am glad to see “Inception” is pretty high on your list. I think people take Nolan’s work for granted. I don’t like how there was some sort of backlash for “Inception” because it was a “summer blockbuster” – it was definitely more than that – it made you think and that is always appreciated. I like lists like these. I was initially going to list “Inception” behind “Black Swan”, but after I saw Nolan’s film for a second time I came away with a lot more respect for it… or rather, the same amount of respect that I had the first time I’d watched it, but I had forgotten why I liked it so much. As far as ETV vs. HP7.1 goes, I can also see myself putting ETV at the top. 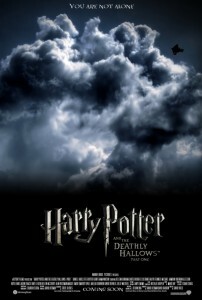 The reason that I chose HP7.1, though, is because, yes, I’ve said repeatedly that it was going to be number one. Also, it’s the more rounded of the two movies. ETV is an experience that is unparalleled, but HP7.1 hits so many beats so perfectly, in my opinion, that it deserves the spot. It’s really almost a toss-up between the top 3. They’re all pretty marvelous.